The Beyerdynamics have a lot going for them, but we find they’re a few notches of excitement short of a great time. Play Fleetwood Mac’s Skies The Limit and the Pro Pluses struggle to lift the carefree melody to entertaining heights. Hall & Oates singer John Oates has teamed up with one-time Fleetwood Mac singer Bekka Bramlett to cover the Steve Forbert tune "I Blinked Once," for an upcoming tribute album titled An American Troubadour: The Songs of Steve Forbert. The track was released today, April 21, as the first single from the record. Oates and Bramlett also shot a video for the soulful roots-rock song: it features them belting out the tune together on a soundstage and on a deserted country road, as well as capturing them taking a drive in an old convertible. You can check out the clip at Blue Rose Music's official YouTube channel. The track also is streaming at the label's SoundCloud page. Oates says about recording the tune, "It was very cool for me to be able to re-imagine…'I Blinked Once.' I was drawn to [Forbert's] great lyrics and ability to take a simple idea and craft it into a memorable song." He adds, "We gave it a harder edge in the production and turned it into a duet with myself and the legendary Bekka Bramlett, whose energy is a thing to behold." "I Blinked Once" originally was featured on Forbert's 1988 album, Streets of This Town. Steve says the tune "was one of the easiest songs that I have ever written…I got up in the middle of the night and wrote it by moonlight." Forbert probably is best-known for his 1980 hit "Romeo's Tune," which reached #11 on the Billboard Hot 100 chart. A look back at Dave. Ask singer-songwriter Dave Mason about how things are going, and he won’t “disagree” that it’s good. Fans know and love his 1977 solo hit “We Just Disagree” and expect it at every one of Mason’s concerts. Now, 71, he’s always touring, revamping his music, collaborating and welcoming the “What’s next?” part of life with open arms. He’s readying to play the adult-friendly, classy, three-day tune fest at Del Mar, California—KAABOO—on Friday, September 15. Dave’s a member of the Rock & Roll Hall of Fame as a founding member of the British group, Traffic. The original lineup also included Steve Winwood, Jim Capaldi and Chris Wood. He played with the band in 1967, 1968 and 1971. Jimi Hendrix magically shares a frame with Dave Mason. He still includes “Feelin’ Alright” on his most-requested list, recorded by the group in 1968. He authored “Hole in My Shoe,” another Traffic best-seller. He had and still has lots of famous friends in the business, with whom he made magical music. The admittedly awesome list of luminaries includes, among others, Jimi Hendrix, Rolling Stones, George Harrison, Delaney & Bonnie, Eric Clapton, Willie Nelson, Graham Nash, David Crosby, Paul McCartney, Stephen Stills and Fleetwood Mac. I caught up with Dave while he was on holiday in Hawaii. Here’s what’s up. We’re looking forward to seeing you at KAABOO, Dave, and then on the rest of your Alone Together Again tour this fall. How are you feeling about it all? It’s going to be great in Del Mar, a beautiful location, but we are in and out and headed to Plymouth (California) for a show the next night. It’s a quick trip. Although you were born in the U.K., you really have no accent now. Where’s home? It’s Carson City, Nevada. I lived in Ojai (California) 16 years, but now we’re 30 minutes from Lake Tahoe and also from Reno. I’m a country boy at heart and find the ocean just doesn’t hold as much fascination for me as for other people—although I do love Hawaii. We have had a house there since January. You’ve said “Living is definitely not for the weak or faint of heart; it’s a constant work in progress.” There’s a philosopher in you! Life IS a work in progress. There are always new epiphanies, always something new about yourself that needs a little tuning or fixing—especially at this age. It’s a whole other ball game. I look back and I do agree, too bad youth is wasted on the young. But all in all, life is great, and I have a great partner (Winifred Wilson). I’ve been doing this most of my 71 years and I still love it. A guitar is always close by. 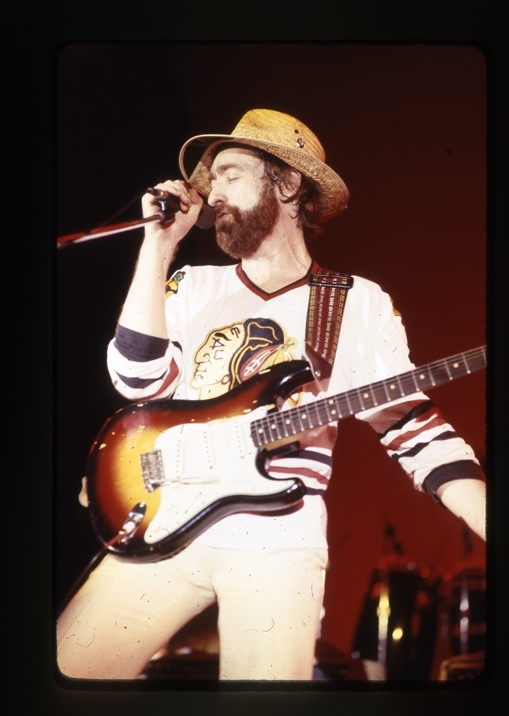 Dave Mason "then." You do Traffic and you do your own thing. How do you approach the group’s music now, having played it so often? “Dear Mr. Fantasy” (from the album Fantasy, 1967) was in a major key originally, and Steve did lead vocals. I do it in a minor now and that works for me. It feels more “musical” and I still keep the melody the same. I do a blues version of “The Low Spark of High-Heeled Boys” (from the album Live: 40,000 Headmen Tour, 1999). The audience likes it. I think I can interpret a song rather than trying to just copy it. You’ve made no secret that you believe live music is where it’s at. And you talk about fake stuff—which I think means heavily produced, vocal correction, etc. Do you think if all things are cyclical that we’ll return someday to what many perceive is more the real deal? It’s happening not just in radio, but at the concert level, too. Everything is so tagged and compartmentalized. There is no “old music.” It’s either good music or it isn’t. Radio is a disaster, for there’s nowhere for a unique artist to be heard. There would be no radio if not for us artists. I’d like a radio station where they could play a “classic Dave Mason song,” and then go to “Here’s the latest from Dave Mason.” There simply isn’t radio exposure like there used to be; it’s very hard to get new stuff heard in the first place. If I have new music, a concert is one of the few places someone might be able to get the CD. I’m happy that people can come see me play—happy to be there, and happy to be anywhere! Dave Mason and someone you might recognize, on the day of "How Do I Get to Heaven." Yes, Willie Nelson. Putting music there doesn’t mean anything. Someone has to know you’re online in the first place. It’s the largest shopping mall in the world and you could wander around in there forever. Tell us about touring and your public television special. Our public television special is from our recent tour of “Alone Together Again,” my original solo album, originally released in 1974. I perform the whole album plus fan favorite songs like “Feelin’ Alright” and “All Along the Watchtower.” We had so many requests from the tour we re-cut the entire album this year and will release it in 2018. The Best of Dave Mason will encompass many if not all of these songs plus others. I’m not sure yet what they will be. I’ll have to see what’s fresh when we start out on that tour. What else is new with you? Anything you can share? I’m talking to Mick Fleetwood (of Fleetwood Mac) about our own radio show, maybe on a terrestrial radio network. There aren’t any artists like us doing their own radio shows, and we want to focus a lot on blues artists from our past. We can also fill everyone in on what it was like to work back then. During the Fleetwood Mac days. 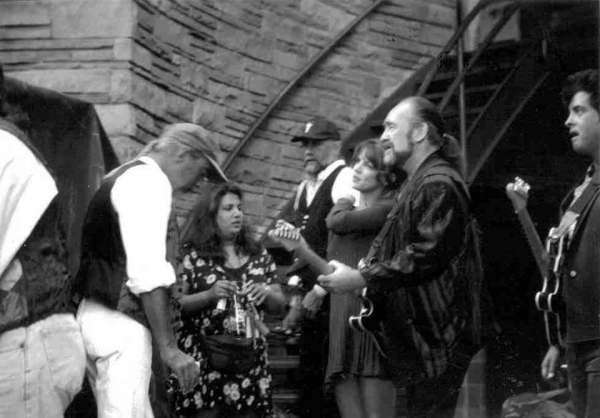 Here with Mick Fleetwood and John McVie. You’re active in philanthropy. Thanks for what you do. Tell us more. I’m on the Little Kids Rock honorary board of directors. I support music being taught in schools—more music education—and more focus on the arts. I’m also committed to my foundation, Rock Our Vets, that I co-founded. We support not only veterans, but families of fallen police officers and firemen. We do good work. Upper-tier Hang Five and Hang Ten packages are sold out, but do not fear. There are so many amenities here, you will still feel like you’re “special,” so check out the “Hang Loose” ticket offerings. Plus these savvy festival gurus offer both student and military discounts! You can also snag parking passes in advance. Cruise through the main website and see all the things to do—and to eat and drink. There are plenty of places to stay around San Diego and even Oceanside, so get busy on your favorite hotel site after you’ve surveyed last-minute fare deals from your hometown to San Diego or even up north, Orange County. BILLY BURNETTE, the classic American artist with a storied nine-year run slinging the six-string for Fleetwood Mac, partnered with BestClassicBands.com yesterday (9/12) to premiere "Tear It Up" from his upcoming album, CRAZY LIKE ME, out Friday, October 20. Click here to listen to "Tear It Up." "It's a song my dad and my uncle did years ago in The Rock 'N Roll Trio," says BURNETTE. "It's been cut by everyone from Rod Stewart to The Beatles, who did it on the BBC Tapes, but it didn't make the cut on that." BURNETTE adds: "It's a magical song. When I was in Fleetwood Mac, we did it with Jimmy Barnes one night. We kept it in our set for the whole time as an encore. With Fleetwood Mac, that's pretty remarkable as they had all of the hits." BURNETTE has spent a lifetime living and breathing rock 'n' roll penning pivotal anthems for everyone from Ray Charles to Gregg Allman to George Strait. His rock 'n' roll lineage has him calling the "Fathers of Rockabilly"--The Rock 'N Roll Trio's Dorsey and Johnny Burnette--"dad" and "uncle," respectively. All of this and more is outlined in the award-winning singer, songwriter, guitarist, and musical journey man's recently-released memoir, Crazy Like Me: From Memphis and the Rock 'N Roll Trio To Fleetwood Mac, which shares each step of his fascinating five-decade career. Get the book HERE. Recorded between his home studio and the House of Blues Studio (Nashville)the album CRAZY LIKE ME tells the musician's journey through the songs that bookmarked his most seminal moments. He kicks off the record with a rousing rendition of The Rock 'N Roll Trio's signature barn burner "Tear It Up"-which BILLYoften famously covered on tour with Fleetwood Mac. He also takes on two of his biggest placements "Do I Every Cross Your Mind?" made famous by Ray Charles and Bonnie Raitt on 2004's Genius Loves Company-also recorded by Cher and Tom Jones-and "River Of Love," which marked George Strait's 57th #1 single. In addition, he unveils a new version of "Nothing To Do (And All Night To Do It)" and serves up other brand new songs, including such standouts as: "Ghost Town," "All Nighter" (co-written with Clare Dunn) and "I Remember You." "It's an album of songs I just wanted to do," BURNETTE notes. "The songs coincide with the book. It's a mish-mosh of hits and things people have never heard. I just went in and cut it. Rock 'n' roll is part of my DNA. I don't do it, because I have to do it; I do it because I love this kind of music. I've never done anything but this. I'm very blessed to have done this all my life. It's an overall look at my work as a writer, and it tells my story." Rock & roll is part of my DNA. I don’t do it because I have to do it; I do it because I love this kind of music. I’ve never done anything but this. For Billy Burnette, his brand of rock & roll, known commonly as Rockabilly, is very much a part of his DNA. His father Dorsey, his uncle Johnny and their friend Paul Burlison were a major component of making that swinging rock sound that influenced everyone from Elvis Presley to the Stray Cats to even the Beatles. And for the younger Burnette, who grew up right in the middle of all this, he wanted to make sure their story was preserved correctly. For two years, Burnette worked on writing not only his family’s story but his story as well, putting down memories onto the printed page. “There are all of these stories about the Rock N Roll Trio that people just don’t know,” Burnette explained about his father and uncle’s rockabilly band upon the publication of Crazy Like Me. “I wanted the world to hear them.” At the same time, he’s put together an album of the same name which coincides with the music he writes about, with a couple of new originals to let people know he’s nowhere near ready to slow down at 64. Burnette, who may be more known for his almost ten years in Fleetwood Mac after Lindsey Buckingham’s departure, has lots of stories to share, in his book and with us during our interview last week. He loves talking about his father and uncle’s musical legacy, how they started a trio with Burlison called the Rick N Roll Trio down in the laundry room of a housing project in Memphis, where Elvis would come watch them practice. He remembers fondly his time in Fleetwood Mac, working with Roy Orbison, having his own time in the spotlight as an up and coming new artist in the early 1980’s, writing songs with Delaney Bramlett, playing guitar in Bob Dylan’s band, touring with John Fogerty, acting in movies and hanging with the likes of Ringo Starr and River Phoenix; as well as the tragedies of a heart attack in 2009 and losing his father in 1979. With his album coming out October 20th and the book currently on shelves, it’s a good time to reacquaint ourselves with the man who put the “billy” in Rockabilly. You have been doing something since practically the day you were born. Now you’ve written a book and you have a CD coming out next month. That to me doesn’t sound like somebody who has any intention of slowing down anytime soon. So why do this all right now at the same time? Well, when I was doing the book, my promotion men said, “Why don’t you do the book and record at the same time?” We released the book a little earlier cause it takes them a while to get their stuff in place. But I’d worked on the book for so long. I’d started it and then put it aside and then started back up on it again when I finished the record. And it’s just the story of my family and myself and how we came to move from Memphis to LA. I learned a lot researching the book. I’ve got a picture of Elvis and my dad at the Lauderdale Courts in 1954. We lost my dad when I was real young but we didn’t talk about it a lot, but they, the Rock N Roll Trio, kind of influenced Elvis to do what he did. In fact, it was 1954 and they used to rehearse at the Lauderdale Courts laundry room, which is really funny cause my mom knew him really well then too. He was a couple of years younger than them so they knew him as this kid who hung out and wanted to be like them. He did everything they did, you know. I also found out that the guy my Uncle Johnny was in the boating accident with in 1964 [which took his life] was the same guy, the guy driving the boat was a guy named Donald Turnipseed and he was driving the car that was in the wreck that killed James Dean like ten years earlier. I didn’t know that and in fact, I even called my cousin Rocky [Johnny’s son] and he hadn’t heard that name since then. He goes, “That’s right, that was the guy’s name.” We never knew that story so I learned a lot in writing the book and did a lot of research about dates and times when things happened. But it’s just a story of what I’ve been doing all my life, really. You mentioned the Lauderdale Courts. What kind of place was that back then? The Lauderdale Courts was a housing development for poor people after the war and that’s where all the kids hung out. It had a basketball court. It was really nicer than you’d think. When I say housing development, back then there were like racial boundaries. The white people had their housing developments and the black people had theirs so it was a lot different back then. That’s where it was born. There was a kid there named Lee Denson who taught him a few chords on the guitar and they put together a band and I guess one of the first songs they’d written all together was “Rockabilly Boogie,” and that was about me and my cousin Rocky. And that’s where the name kind of started to become famous. They had that term rockabilly and that’s what made it stick, was that song, you know. Was that very important for you to tell these stories about your dad and uncle’s music? Yeah, it seems to be getting more and more popular and the stories keep getting more and more different as I hear them. So I felt like I needed to write the book to get all the facts straight, because there are so many stories about so many different things that I’d heard over the years that I said to myself, this can’t be right. Years ago I worked with Roy Orbison on his last record, Mystery Girl. I wrote a song on there called “(All I Can Do Is) Dream You” that he did on the Black & White Special with Bruce Springsteen and Jackson Browne and all those guys. I played on the session and taught him the song and sang on it with him. In fact, it was the day I got the call to join Fleetwood Mac. I was in the studio with Roy Orbison and Roy had told me, “First time I met your dad and uncle, the elevator opened and we were at some radio station in Memphis and the door opened up and they were fighting each other.” (laughs) So I heard that and I said, I need to write a book about this stuff cause there’s just so many stories about them, these crazy things. At one time we found out they were on Sun Records for a minute and they’ve never been able to find the tracks that they did for Sun Records. But they were on a record company before that, in 1954 or 1955 or something. I can’t remember right now. I’ll have to go back to my book and read it because it’s more accurate than I am (laughs). I should probably start taking my book when I do these interviews. You’ve been performing since you were a little kid, and you mentioned in your book that you don’t even remember some of that because you were so young. You know, it was so crazy because I was doing records. I actually did a record for a major record company in 1960 when I was seven and I don’t remember anything about that hardly. I did a duet with my dad at that time and I don’t know why I don’t remember those. I remember being in the studio with him with like a hundred or so musicians to do a track called “Little Child” that me and my dad did together and it was on Dot Records and it was with a big orchestra at the time. I remember things like that but I don’t remember too much about anything else in that time frame. I remember going on tour with Brenda Lee cause I was a little older then and Herb Alpert’s stuff when I worked with him on A&M Records. It was such a little company that me and my brothers would lick the stamps to put on the records to send them out to radio. I saw him the other night on Fallon. He’s such a great guy, Herbie. He’s a dear friend and it’s funny, I was on the label three different times in my life – when I was eleven, when I was seventeen and then when Bekka Bramlett and I got on a label after Fleetwood Mac. They had got out of the business and decided to go back in to it and they decided for us to kind of spearhead their move back into it. But we weren’t really a country act and they wanted to go in a country kind of direction and if you know anything about Bekka Bramlett, she’s about as country as Manhattan (laughs). When you first started writing songs on your own, what were those songs like? A lot of my early stuff I wrote with Delaney Bramlett, who was Bekka’s dad. A lot of my real early stuff, that’s when I really got serious about the music. When I was eighteen, I got out of high school, my dad put me with a guy named Chips Moman in LA and I went back to Memphis and Clive Davis had signed me to Columbia. They started an imprint label for Columbia Records, which was Entrance Records. I was a week out of high school and I had a record deal and that was my introduction. I moved back to Memphis, cause we had moved from Memphis to LA when I was a little kid. I basically grew up out in LA and moved back to Memphis when I was eighteen. You have the new CD coming out. Did you go into it with a plan of what you wanted to do? I kind of wanted to do something with the book so the first cut is “Tear It Up,” [the first single for the Rock & Roll Trio in 1956] and I’ve cut it actually before on my early Columbia record and we almost cut it with Fleetwood Mac. It was our encore with Fleetwood Mac. It was the encore for Rod Stewart’s show for years. It’s just a special song. The second song is a song that Roy Orbison cut that a friend of mine, David Malloy, and I wrote especially for him, which hardly ever happens in this business, where you write something for an artist and directly have him in mind. But we wrote it for him and he liked it. We were in Nashville, came to California, taught it to Roy and he cut it and I ended up playing on it and that’s the reason I joined Fleetwood Mac. I had just been nominated for Best New Country Male Vocalist at MCA Curb so I had to call Mike Curb that night and talk to him. I talked to him about a half an hour about why I should stay and he talked to me about an hour about why I shouldn’t. You know, it’s still one of the biggest bands in the world but it was like a hard decision to make. Actually at the time it was really hard because I had just been nominated and my record started doing better at MCA but I ended up being with Fleetwood Mac for almost ten years. So it was lucrative and an important part of my life. It was like an overnight life-changer, you know. You do “Oh Well” on here. Am I hearing it wrong or is it more rockabillied-up? Yeah, I’ve rockabillied it up a little bit. You know, it was the B-side of “As Long As You Follow,” which was one of our singles. We had done it on our Showtime special and they put that on the B-side of the record at the time. Why, I don’t know but it was good and ended up being really good for me. But that lick used to drive me nuts. I was in high school when I first heard that lick and then I became a huge Fleetwood Mac fan and it’s so weird that I got to join the band. Actually, Lindsey Buckingham got me in to do “Trouble,” when he had that song out [on Buckingham’s first solo album Law & Order], so I went to do that song with him in 1985 or 1986 or something like that. I instantly became like part of the gang. I used to call it the bubble. It was like they kind of had their own bubble in LA where they had their friends and hung out, and I just became one of them and I started writing with Christine McVie and I did a duet with Stevie Nicks at the time and just kind of fell into it. Since Mick Fleetwood and John McVie had been there from the beginning when it was an actual blues band, how did they feel when people wanted to do rearrangements on some of those old songs? Were they open to that? Oh yeah, they were totally open to it. Mick and me had been together, with Lindsey, for about three or four years before I ever joined the band. We had toured all over and we were actually a signed act called the Zoo on RCA and we had some records out. We toured with the Beach Boys and toured all over Australia and took Jimmy Barnes with us and Colin Hay. It was kind of just a party band, really. It was like our party band and when Fleetwood Mac wasn’t working, we were. They had kind of slowed down on the working a lot then and everybody was into their solo thing and then it was time to get the group back together. I actually joined when they were in full production of Tango In The Night. That’s why when Mick asked me to join I said, “When?” and he said, “Tomorrow.” They were in full pre-production of their tour and they didn’t want to stop, you know. I think Stevie and Lindsey, well, I don’t think I know, they had got into it that day and he was thrown out of the band and I was in. It was that simple. How was it when you played that first concert with them? I remember it was in Kansas City and I had laid awake scared about what was going to happen because with a group that big you don’t know what is going to happen. But we got out there and I can remember Stevie walking up to our rehearsal and saying, “It still sounds like Fleetwood Mac to me.” They were such a great band, even with Rick and I not being there. Lindsey wouldn’t stick to the original tracks a lot so when they toured a lot of the fans didn’t get the real deal. It was a different version, his version of the way he thought things should go. But when me and Rick joined, we stuck to basically the records and did the parts and because there were two or three guitar parts on the record, we were able to cover those better. Vocally, Lindsey sings a little higher than I did and that was a little rough on me. I had to kind of stretch it a little bit to get up there but I made it. And on the first tour there was a big ole banner out there that said “Lindsey Who?” on it. So we were kind of happy about that and from that day on, everything was really smooth. What can you tell us about the new song “Ghost Town” that you wrote? I threw in a couple of new ones on there and that song when I started it, it sounded kind of Fleetwood Mac-y to me so it’s what rubbed off on me from Fleetwood Mac, I guess. What’s another one that’s brand new? “When I Remember You” and that’s just about me growing up in California because I kind of grew up cutting school a lot and going to the beach and taking my guitar down there. We’d take the Topanga Canyon over and go to the beach all the time. We’d cut school or go after school, whenever it was. But I spent a lot of time in Topanga Canyon and that area when I got older playing cause that was where a lot of the clubs were in LA, before the Hollywood scene, and then I got into the Hollywood scene and ended up making a really big deal with Columbia Records. I do, I do “It’s Late” and it’s one of my favorite Rick Nelson records. I got to know Rick in that era of music and I still work a lot in Europe with James Burton, the guitar player, who is one of my favorites. He played on that track and he played on my first record in 1960. He’s such an innovative guitar player that the guitar playing on that stuff is ridiculous. I’ve just always wanted to cut that. I did a live album a few years ago and I put that on there but I’ve never done it on a real record. It’s funny cause Stevie wanted to sing that with me and we never could get it together, get the times together, but her and I used to do that all the time together. That’s one of my favorite songs on the record and that I wrote with one of my favorite writers in life. His name is Will Jennings and he wrote “My Heart Will Go On” and he wrote “Up Where We Belong.” In fact, the day I was writing with him, Eric Clapton was coming over later that day to finish “Tears In Heaven” with him. He’s written so many great songs and it’s like a lot of my favorite songs. He’s kind of mainly a lyricist but he gets involved in the music as well and he’s one of them guys that was an English Lit professor in Texas and just became a great songwriter. Who has surprised you the most saying that you influenced them? There’s a lot of young rockabilly people out there that say that. Anybody really famous, I can’t think of. I know that my dad and uncle influenced everybody from the Beatles to Elvis Presley. In fact, the Beatles cut one of their songs and the record’s called “Lonesome Tears In My Eyes.” When I first met Paul McCartney, and he’s probably one of my favorite artists of all-time, and when I met him, he held my hand and I went to say to him, “My name is this,” and he goes, “I know who you are.” And he told me they used to get the songs off the docks from the sailors and from pirate radio cause a lot of people don’t realize that my dad and uncle’s stuff was banned in a lot of parts of the world. In fact, in parts of the United States they wouldn’t play them either. And Elvis kind of broke that barrier. But for me influencing people, I was a huge Fleetwood Mac fan and to get to join them and just to be a part of that. That was a pretty democratic kind of organization and we all kind of created the music together. I mean, they would come in with just an idea, “What do you think of this or that?” and we’d all work on stuff together. I think coming into that band was major because it was such a big band and for them to let us be so open about our opinion about how things should go was pretty crazy. Why was your dad’s music banned? Well, they had lyrics in there, like if you listen to “Honey Hush,” they did these old blues songs that they turned into rock & roll songs, like “Train Kept A Rollin,” and one of the lyrics in “Honey Hush” was like, “Come on in this house and stop all that yakakty yak, Don’t make me nervous I’m holding a baseball bat.” (laughs) And those were songs that, they didn’t write them they were just doing them, you know, because that’s what some of the kids in their area were doing at the time, some of the old blues songs. But they put a harder edge on it. They did the version of “Train Kept A Rollin” that Aerosmith did. In fact, it was Led Zeppelin’s first song that they ever learned together. I know because I spent some time with Jimmy Page. He called the house one day and wanted my dad to play on a Led Zeppelin track and he really wasn’t sure who they were, you know. I kind of explained it to him. It was funny. How early did you really start playing guitar? You know, I kind of started a little later on. I was just standing up and holding a mic and singing when I was with Brenda Lee and I’d never played guitar. I think I picked it up sometime after I got back off the road with Brenda. They were all over the house so I said, “I better pick up one of these things and learn how to play it.” (laughs) So I got into it and that’s when I started writing songs and kind of really learning what it was all about. I was probably fourteen or fifteen when I first started playing guitar and I had a lot of good teachers around. There was people like Delaney Bramlett and Glen Campbell and Roger Miller and all these people that were great musicians. And my dad was a great musician. I just kind of picked it up and watched them. James Burton was always over. I had a head start on a lot of people. Today you can go on the internet and be caught up in a few days if you know what you are doing. What is your #1 guitar today? I play a Les Paul. It’s my favorite. I was with Gibson from the time I joined Fleetwood Mac until I wasn’t and I’ve stayed with them up till now. And I’ve played with everybody from John Fogerty to Bob Dylan, and that’s just people I’ve toured with. I’ve been fortunate enough to play with all kinds of people. In fact, I’m in a classic rock band now with like the drummer from Boston and there will be a guy in there from Aerosmith and we mostly do corporates with those things. Who is from Aerosmith? Is it Jimmy Crespo? It is Jimmy Crespo! He’s the nicest guy. Something happened with his playing a few years ago where he couldn’t play for a while so I need to see whether he’s playing again now. But he was one of our first members – him and myself and the second singer from Journey, Steve Augeri. It was that type of band and I handled the Fleetwood Mac stuff. When somebody needs somebody, I can do Fleetwood Mac or play some John Fogerty stuff. I was with John for like six years. What was he like as a band leader? He’s great. He still sings the songs in the same key, same arrangements. There again I was a fan of somebody that I really admired and couldn’t believe I was in the same band with him. Before that I was with Bob Dylan’s band and that was pretty wild because I had to learn so many songs. What did you think when the Stray Cats came out and they were doing basically what you had been doing? You know what was really strange was I had toured the country, I had a Top 10 record in New York and LA and it was really doing good. They kept me in New York for a while doing clubs and LA was where I made my record deal, which turned out to be one of the biggest record deals ever for a new artist at Columbia Records, and it was in LA that I kind of toured the clubs and made that big deal with them. But it was funny because the record was out and I remember getting a call from my manager and record company and they said, “You know this rockabilly thing don’t look like it’s going to catch on.” (laughs) Six months later, the Stray Cats come out and my dad’s got a song on it, so it was kind of weird. But those things happen. It’s all about timing. And I toured with them. Brian Setzer is a good friend of mine. He’s played on my records here in Nashville and we played on a record that Stevie and I did years ago. We’ve kind of kept in touch. I’ve done gigs with Slim Jim and the bass player, Lee Rocker. We just did one down in Cabo San Lucas where it was the three of us playing and that was a lot of fun. So what are you planning for the rest of the year? I just got back from Barcelona and that was a blast because I got to play there with Darrel Higham, who is married to Imelda May. I got to play with him and I played with him years and years ago and just some great guitar. We had a great band. I’ve spent a lot of time in Europe. I’m trying to get some more dates. I just played Nashville before I left at a big club here called Third & Lindsley. The record comes out October 20th, so I’m trying to put a few more dates by it. But I spend a lot of time in Germany. I have a band that I pick up in Spain and I have a band in England, which is Darrel and them, which are great guys. I have two different bands in Sweden. I do a lot of the rockabilly festivals now. A lot of the blues festivals have a rockabilly night now to fill it up so I kind of come in on that deal. But it’s a lot of fun. I’m working more than ever and I stay pretty booked up. It’s almost too much traveling because I go back and forth. It’s great. In Barcelona, I think we had like 5000 people at the gig and for parts of Sweden we did a gig where there was like 4000 people and it was up so high it never got dark. There are a lot of fans up there. They still like the rock & roll/rockabilly kind of music. They seem to appreciate it more. There’re pockets in the US and these festivals are starting to get bigger and bigger every year and I’m noticing on my royalties that they get bigger every year (laughs). What’s good about the Fleetwood Mac stuff is I managed to make it on all the greatest hits packages and the best of and this and that and their records are selling more than ever. The last two years the #1 selling product at Christmas has been the turntable. So people have gone back to the wax to buy their original copies of their favorite classic rock bands and I kind of fall into that area with my rockabilly music too. They’re pressing those again. Things are kind of up right now and vinyl is back stronger than ever. But you don’t sell as many as you used to. 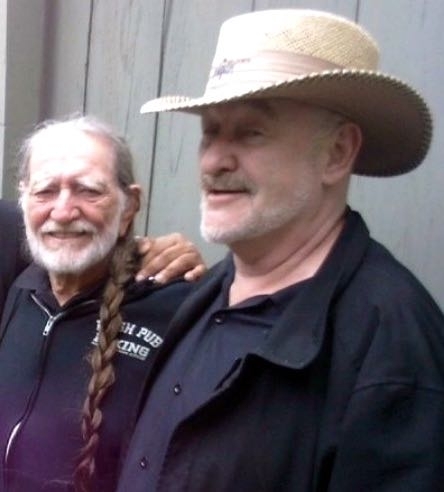 I think I had a song on the last Willie Nelson record and normally they’d be #1 pop and country and normally a record that would debut pop and country would be in the numbers of 800,000 to a million first week. Now it’s down to like 60,000. It’s a whole different ballgame so we’ve all had to kind of reinvent ourselves. Thanks, SisterNightroad, this was a great read. I especially loved Billy's comments about having trouble sleeping the night before his first concert with Fleetwood Mac. More stories like that would have made his book even better. Glad to hear he's still making money from FM album sales, too. Yes thanks for posting the Billy interview. Really enjoyed it. Its funny because my biggest complaint of Rick and Billy live in the Mac was how constrained they were. Billy calls it sticking to the "record". Lindsey like most other live bands take songs live to a different place. Its not wrong its just not my preference the way Billy played live. However today with the technology groups are sticking to the "record" sound live and play much more constrained. I guess I miss the old arena rock where guitarists would pump such life into songs live. The 1990 tour Rick and Billy opened up a tiny bit more. We got a tiny guitar intro to Rhiannon among other little things. I think Rick and Billy really could have added such an edge to the Mac with putting their own licks on some Mac songs. But of course it would be daring to do that. They played it safe and I understand that. It just sounded too constrained and almost like a Mac cover band at times because the live sound was so conservative. Not really knocking him, just my opinion. The 1990 tour is still one of my favorite concerts ever.....even better than the Dance believe it or not. In 1997 the Mac met technology and even Lindsey started to play more conservative and their live sound sounded like the "record" or studio. Last edited by Macfan4life : 09-27-2017 at 03:39 AM. Having spent nearly a decade slinging the six-string for Fleetwood Mac and penning pivotal anthems for everyone from Ray Charles to Gregg Allman to George Strait, and calling the “Fathers of Rockabilly”- The Rock ‘N Roll Trio’s Dorsey and Johnny Burnette – “dad” and “uncle,” respectively, Billy Burnette has spent a lifetime living and breathing rock ‘n’ roll. All of this comes together on his upcoming solo album Crazy Like Me, which is due out on October 20 and is accompanied by his just-released memoir with the same title. All of the songs on the album line up with the book, featuring Burnette putting his own rockabilly spin on songs originally written and recorded by his friends, family, and musical heroes alongside a handful of originals. Ultimately the album is a love letter to rock ‘n’ roll with the right amount of blues swagger and Americana perspective, and is a proper culmination of a life spent playing music. “Rock ‘n’ roll is part of my DNA. I don’t do it, because I have to do it; I do it because I love this kind of music. I’ve never done anything but this. I’m very blessed to have done this all my life,” reflects Burnette. Today Glide is excited to premiere Burnette’s inventive take on “Oh Well”, a song originally written by Peter Green and recorded by Fleetwood Mac during their early blues days in 1969. Compared to the original version, which is a scorching blues guitar shred fest complete with a cow bell, Burnette’s rendition carries a touch of rockabilly with its thumping standup bass and chickenpicked guitar. The intensity and all out fun of this new version expresses just how passionate Burnette is about the song. 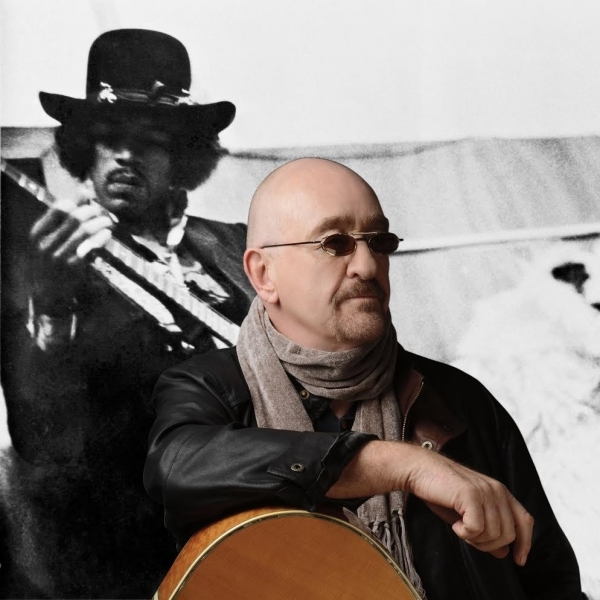 Afounding member of the seminal British band Traffic, Dave Mason has recorded with many leading artists, from Jimi Hendrix and George Harrison to Eric Clapton and Fleetwood Mac. And now, he is set to release a six-song EP. Besides some remixed tunes from his 2008 album, “26 Letters — 12 Notes,” and a new ballad, the upcoming EP features a brilliant interpretation of the Traffic classic “Low Spark of High-Heeled Boys,” highlighting Mason’s remarkable guitar playing. “It’s a great live blues version of ‘Low Spark of High-Heeled Boys,’ “ he explains. Known for memorable hits like “Feelin’ Alright,” “Only You Know and I Know” and “We Disagree” from his last album, “Future’s Past,” the British-born musician tweaked some of his best-known songs. In 1967, at the age of 18, Mason helped form Traffic with Steve Winwood. One of the most innovative groups of the time, Traffic blended elements from rock, blues, folk, jazz and R&B. More commercially minded than his bandmates, he created classic songs like “Feelin’ Alright” that were instantly appealing and helped secure Traffic a popular base. After the release of Traffic’s debut, “Mr. Fantasy,” Mason left the band. In between Traffic albums, Mason performed as part of a freewheeling community of London-based musicians, working on albums by Jimi Hendrix (“Electric Ladyland”), the Rolling Stones (“Beggars Banquet”) and George Harrison (“All Things Must Pass”). Mason had befriended Hendrix and been invited to play guitar on the rock icon’s remarkable version of Dylan’s “All Along The Watchtower.” He played the 12-string acoustic guitar heard prominently on the song’s opening and sang backup on “Crosstown Traffic” on the “Electric Ladyland” album. After Cream broke up, Mason almost formed a group with drummer Ginger Baker. “But the last thing I wanted was to be compared with Clapton,” he says. Mason was also friends with the Stones’ Brian Jones, which led to Mason playing on “Street Fighting Man” with the band during the recording of their transformative “Beggars Banquet” album. In 1969, he moved to Los Angeles where he hooked up with Delaney & Bonnie & Friends, which would soon include fellow British guitarist Eric Clapton. 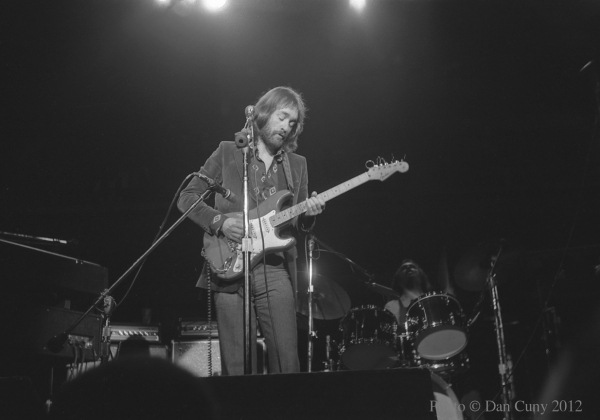 Mason later briefly played with Clapton in Derek and The Dominos. Launching his first solo album with help from Delaney and Bonnie, Leon Russell and Rita Coolidge, Mason’s critically acclaimed “Alone Together” found instant success, remaining in the charts for six months. One of the album’s highlights, “Look at You Look at Me,” included a mind-blowing guitar solo at the end. Guests on his follow-up album included George Harrison and Stevie Wonder. Having known Harrison from attending “Sergeant Pepper” sessions, it was Mason who taught the Beatles’ guitarist how to play slide guitar. After touring with his own band for many years, Mason is planning to collaborate with guitarist Steve Cropper of Booker T. & the MG’s and the Blues Brothers Band fame later this year for a “Feelin’ Alright Rock & Soul Revue” tour. The two musicians were part of the star-studded New Year’s Eve event at Wailea Beach Resort–Marriott. Michael McDonald, who also played in Wailea and with Mason at the Maui Arts & Cultural Center Blues Fest, might join the future collaboration. And Maui’s Gretchen Rhodes has been invited to join the tour. “This was all part of doing Traffic with (Steve) Winwood,” Mason explains. “There’s a huge demand for me and Winwood to do Traffic. He won’t do it, so I said, ‘Let’s go out and do Traffic Jam,’ which I was doing for three years. Steve Cropper is interested in joining us (as well as) Michael McDonald. We’ll put together a group of cool guys. Everyone picks a Traffic tune, and we have all these other songs — one great song after another. While Willie K has announced he will be limiting his live performances for a while to enable time to focus on healing and recovery from lung cancer, he is still eager to play the Dave Mason show. “I’m optimistic that we will beat this and be back on stage in no time,” he announced. Fundraisers are planned across the state to help raise funds for Willie K’s mounting medical expenses. Let’s all send prayers to Willie for his successful healing. Composed in 1741, J.S. Bach’s iconic “Goldberg Variations” has been performed and recorded many times, including by celebrated pianist Glenn Gould and Keith Jarrett on harpsichord. * Tepfer will debut his unique version of “Goldberg Variations” in a benefit concert for Adaptations Dance Theater at 7:30 p.m. Friday in the MACC’s Castle Theater. Tickets are $20, $45 and $65 (plus applicable fees). A $125 VIP ticket includes a post-show reception with refreshments. For tickets and information, visit the box office, call 242-7469 or go to www.mauiarts.org. * Tepfer, a student of astrophysics at Edinburgh University, also presents “Listening To Planetary Orbits: Finding Music in the Solar System and Beyond” at 6:30 p.m. tonight at the University of Hawaii Institute for Astronomy Advanced Technology Research Center in Pukalani. The public is invited. Call 573-9500 for more information. The MauiLotus duo of multi-instrumentalist Marilyn Allysum, who studied bansuri flute with G.S. Sachdev, and bassist Charles Fletcher present a concert Friday. Their repertoire includes original compositions blending Western and Eastern influences and several songs sung by Allysum in Hindi and Punjabi. * MauiLotus performs at 7:30 p.m. Friday at Makawao Union Church. Tickets are $20 in advance at www.mauilotus.com/store or cash at the door. Call 879-5776 for more information. Armed with his electric guitar pursuing his dream of becoming a great blues guitarist, Springfield, Pennsylvania native Rick Vito submersed himself in the fertile L.A. music scene of the early ‘70s. Establishing a reputation for his slide guitar and blues guitar prowess, Vito soon found himself working with the elite of blues, pop music and straight-ahead rock and roll. His impressive resume includes Todd Rundgren, Delaney and Bonnie, John Mayall, Bonnie Raitt, Steve Miller, Jackson Browne, Bob Seger and Fleetwood Mac. Ultimately, he landed a gig with Bob Seger with whom he spent time recording and touring. His slide guitar is prominently featured on the Seger hit “Like A Rock” among others. Vito then got the call to join super group Fleetwood Mac, replacing the legendary Lindsey Buckingham. “I joined Fleetwood Mac in the summer of ’87 and stayed with them until ’91. Vito has released nearly a dozen solo albums with his most recent being “Mojo On My Side” (2016). As a producer, he has collaborated with Delbert McClinton, Rita Coolidge, Maria Muldaur, Boz Skaggs and fellow Fleetwood Mac alum Billy Burnette. Warner Brothers’ movie release, “Angel Eyes” featured Vito’s song, “It’s Two A.M.” Performed by Shemekia Copeland, the song earned Vito the W.C. Handy Award for “Blues Song of the Year.” His songs have also been featured in a number of primetime TV shows. Vito continues to perform solo shows around the world, demonstrating his skills on his Reverend Guitars’ “Rick Vito Signature model guitar,” as well as appearances with Mick Fleetwood. Thanks for posting the interview with Rock Vito. His comments about replacing Lindsey in Fleetwood Mac were even more timely, given the current situation. Rick comes across as such a nice, classy guy! You're welcome, yes the interview struck me positively for that reason. Yes, Rick managed to always seemed nice to me even if he had a bit the ogling eye. However I almost forgot about it but has anyone noticed that the new FM logo is the same one from the 1975 tour?